Target and Tommy Hilfiger made a splash earlier this year when both retailers announced new adaptive clothing lines. Adaptive clothing is thoughtfully designed to be easy for people of all ages and abilities to use. Velcro might replace buttons. A shirt might fasten in the back, allowing the wearer to remove it with one hand just by pulling from the front. Anyone who has tried to put on a back-zipping dress alone can attest to how challenging clothing can be. For the disability community, this issue is even more important. Dressing independently is no small task for people with less range of motion or less fine motor control. My dream is to go to the college of my choice without having to worry about someone coming to tie my shoes everyday... At 16 years old, I am able to completely dress myself, but my parents still have to tie my shoes. As a teenager who is striving to become totally self-sufficient, I find this extremely frustrating, and at times, embarrassing. The post spurred Nike to release a special shoe, the Zoom Soldier 8 Flyease. 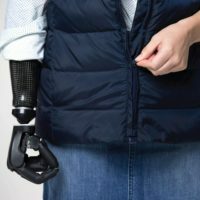 While specialty shops have long sold assistive devices–from shoe horns to no-tie shoelaces–and brands like Nike occasionally release an assistive product, full clothing lines from a mainstream retailer are a newer development. The Target and Tommy Hilfiger announcements could herald a new era of fashionable and functional clothing for more people. People have noticed and they’re hopeful. Tommy Hilfiger's adaptive clothing line just warmed my heart to it's core. The world is really coming around and becoming universally accessible for everyone. What a bright future for the world of disability. Target started phasing in new products this summer. First, the store introduced sensory-friendly features in their Cat & Jack kids line. Aimed at children with autism, these clothes are devoid of irritating tags and seams. Now Target is adding more inclusive items, focusing largely on people with mobility challenges and wheelchair users. The line has been lauded as affordable and inventive. Other Twitter commenters were less impressed. 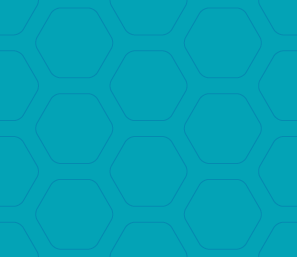 I haven't bothered looking, I am so frustrated with adaptive lines for kids only. Maybe Tommy Hilfiger was listening. Hilfiger is not a stranger to adaptive clothing lines, having released a children’s line last year. Now they’re adding options for adults too. The same magnets feature heavily in the Hilfiger line, in a collection full of the brand’s classic red, blue and denim pieces. Hems are adjustable up to four inches and open wide. Research shows that the lack of adaptive clothing can be a barrier to engaging in meaningful activities. Even if an individual doesn’t explicitly identify the clothing as the problem, apparel-related issues — such as the time it takes to dress — have shown to lower a person’s quality of life and social participation. And as we age, these challenges arise for increasingly more of us. But they shouldn’t have to turn into such big problems. As design thinking continues to take hold and if the Target and Hilfiger lines see commercial success, we can hope that more and more retailers will pay attention and follow suit.